It’s easy to indulge your love of exquisite accommodations in the Windy City. Celebrating arts, dining, shopping, entertainment and sports, Chicago is a diverse luxury destination that presents unlimited adventures. The Gold Coast. The Art Institute. Alinea. Michigan Avenue. Soldier Field. There is so much to see, do, eat and drink in Chicago, that the list is virtually endless. 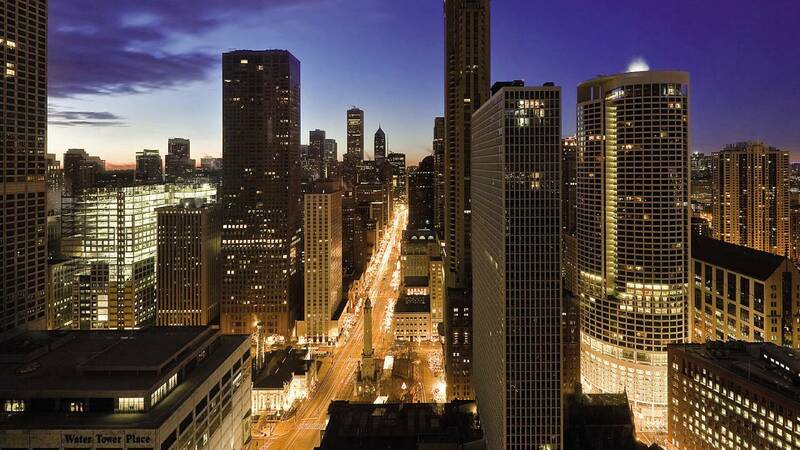 As a major metropolitan city with midwest hospitality, you’ll discover the latest amenities in the lap of luxury at these top Chicago hotels. Take a stroll to the Museum of Contemporary Art around the corner from all these hotels, window shop on world famous Michigan Avenue, take the Architectural Boat Tour and then bop over to Millennium Park to see “The Bean,” as locals call the stunning, enormous sculpture properly known as Cloud Gate. Keep strolling down Michigan Avenue and experience one of the world’s best art museums, The Art Institute of Chicago, for a luxurious fill of Picasso, Monet and Van Gogh, to name just a few. And what could be more fun than a day at the Shedd Aquarium that boasts Beluga Whales and dolphins and a spectacular view of the Chicago skyline.